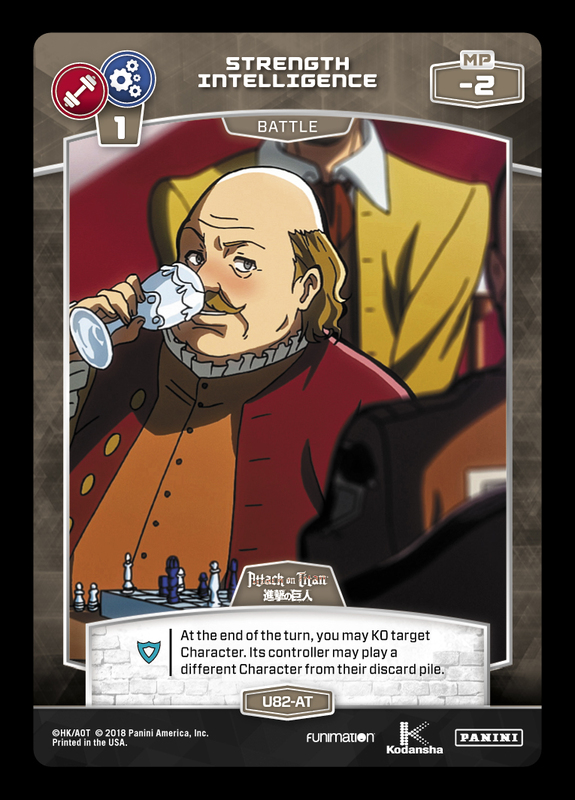 Four for Friday: Year in Review (Part One)! 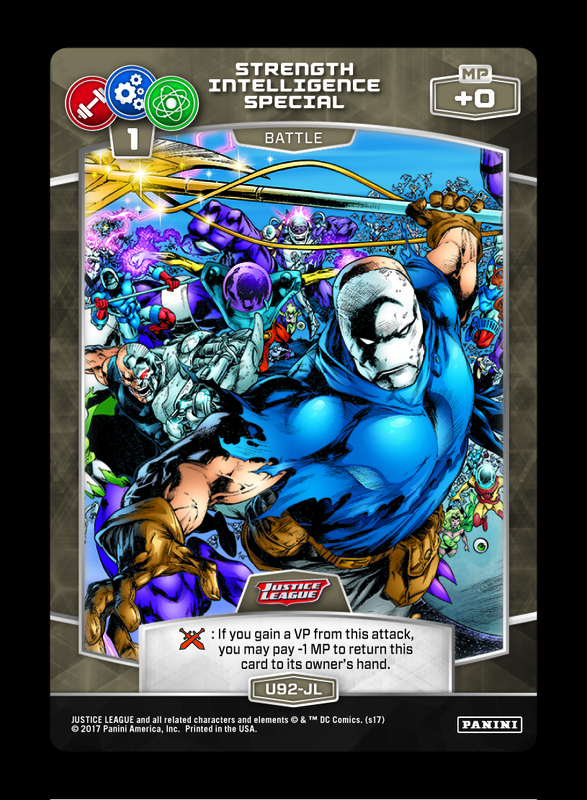 See below for a spotlight on the top Battle Cards of the year. 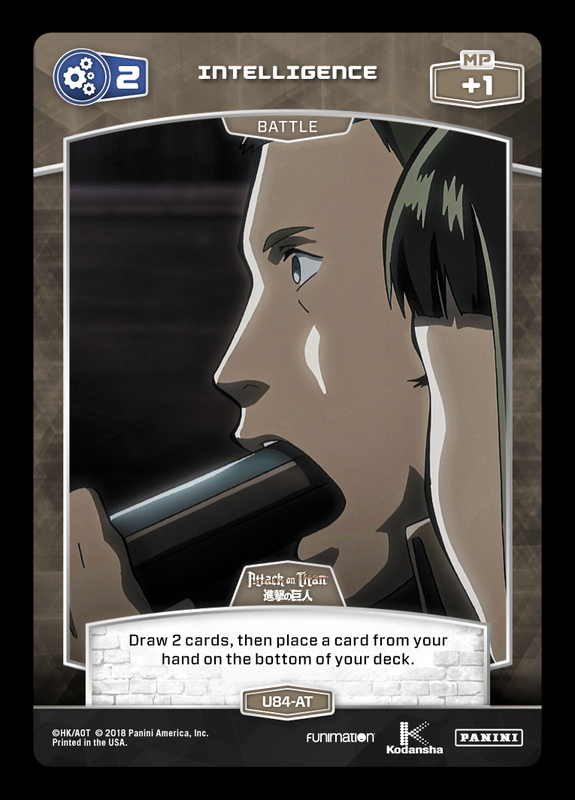 Battle Cards are more universally applicable than Characters or Events, and they require a certain interconnectedness in deck construction. 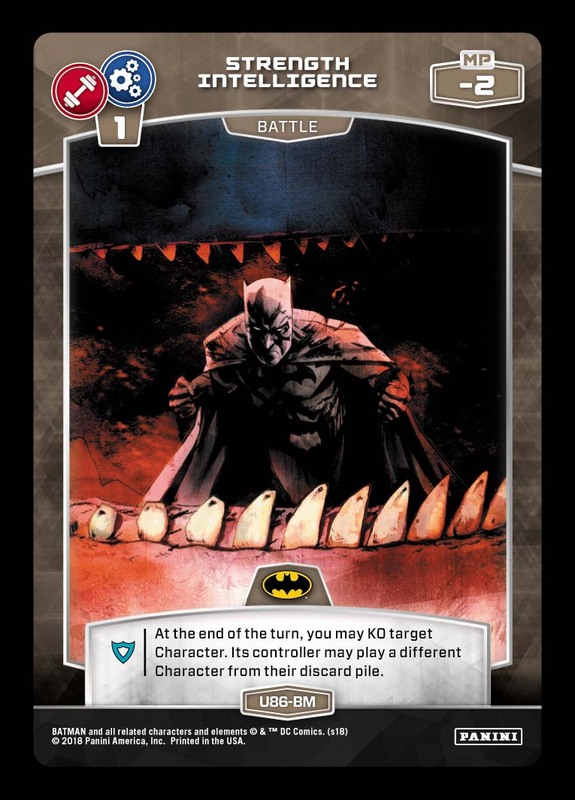 As seen above, the most frequently used “glue” Battle Cards are all highly accessible (no MP cost, low rank requirement, or Multi-stat) and tend to offer effects that increase card quality/consistency. Finally, Friday wouldn’t be complete without new teasers from Teen Titans Go! 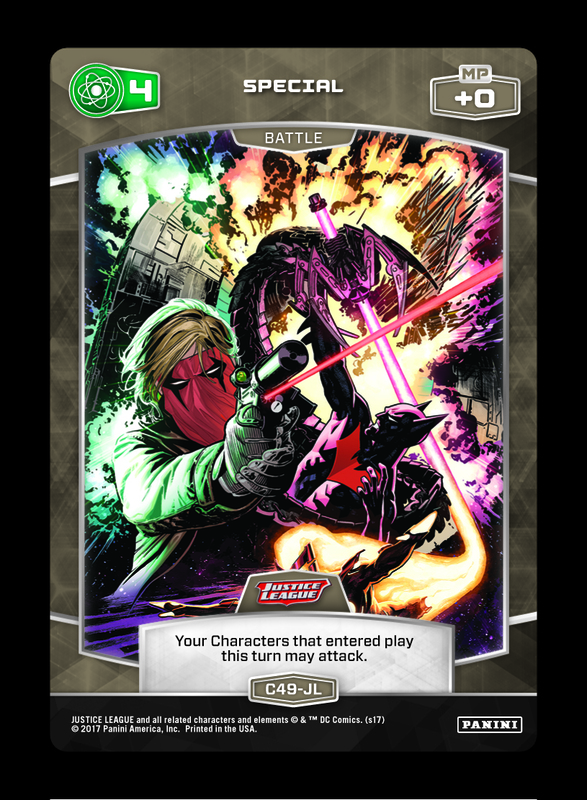 – and we’ll stick to today’s theme with three new Battle Card effects below. 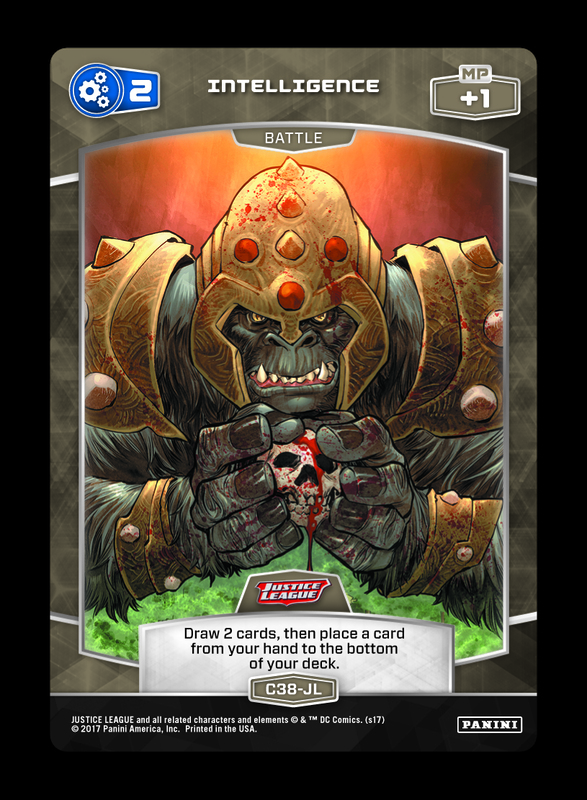 Check back on Tuesday for the final Deck Tech of the year (with a holiday theme), and watch for the kickoff of our latest giveaway contest at the end of next week! 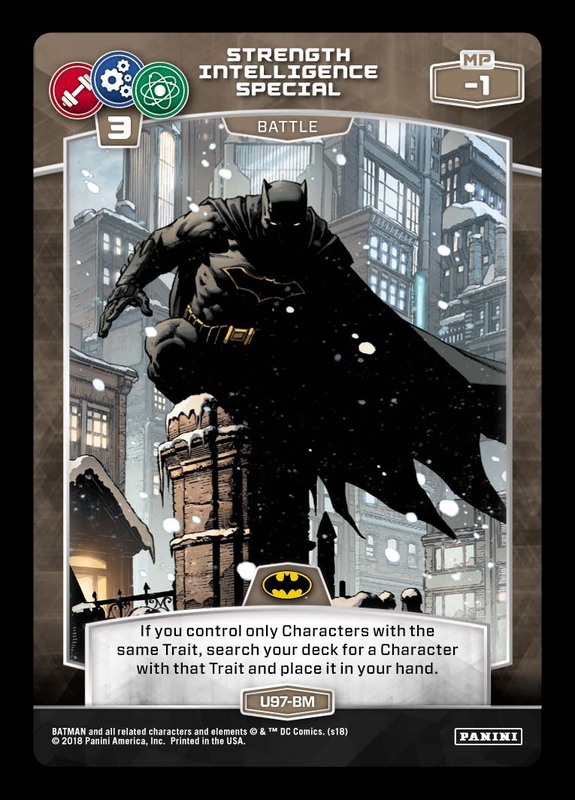 Holiday Deck Tech: Fortress of Solitude!